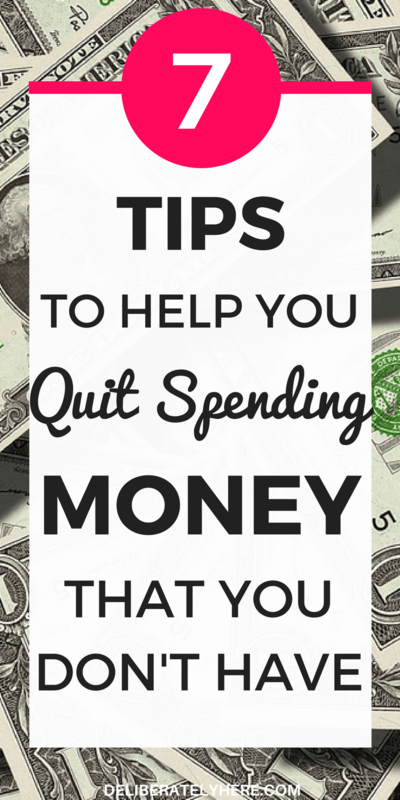 Are you in a routine habit of spending money that you don’t have? 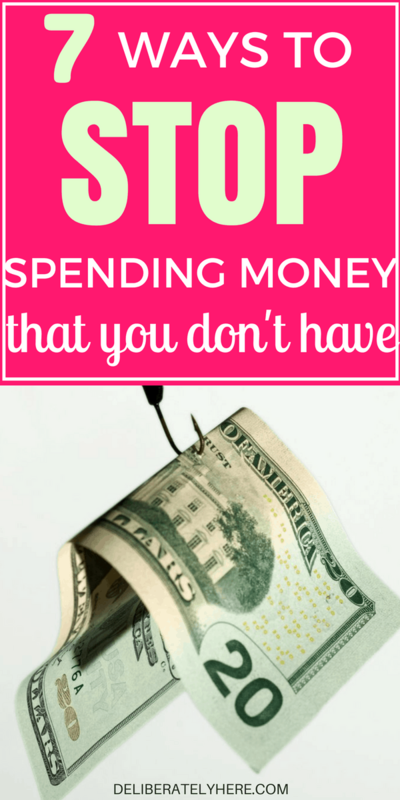 Its time to break that habit, it’s time to stop spending money you don’t have. Have you ever gone to buy something only to realize you’re out of money, so you turn to your credit card to save you, because even though you don’t have the money right now, you’ll have it soon. Right?? That is a whole putting the carriage ahead of the horse situation that you want to avoid right there. Or maybe you have gone to your bank thinking you have big enough chunk of change in your account, only to find it’s dwindling down to the last few cents. And you’re stuck wondering where on earth all your hard earned money went. 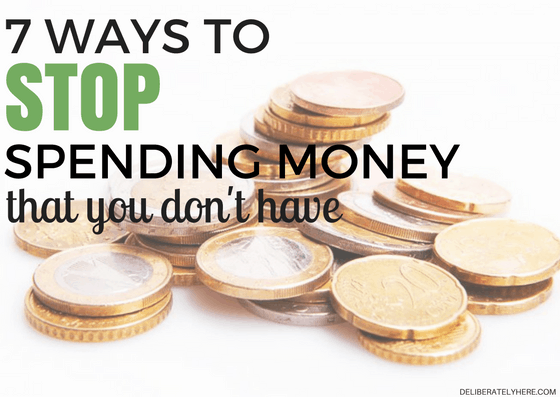 I’ll bet you spend money without even realizing it’s going out – that’s the danger of credit cards, we don’t physically see the money going out of our pockets, so we feel as if we can spend more. Is shopping your go-to place for when you’re stressed? Is spending money a regular thing for you? Do you like to stop by the coffee shop on your way to and from work? All of these cases make us spend money…even if we don’t necessarily have it. Spending money you don’t have and living paycheck to paycheck is a stressful and irritating cycle that I’m sure you want to get out of. 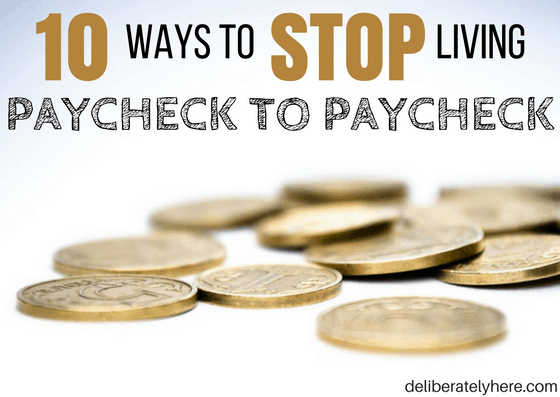 Getting out of the paycheck to paycheck cycle and starting a budget can look impossible at times, but it doesn’t have to be. It can be simple if you’re willing to put in a bit of work. You can sign up below to get a free printable budget builder send to your inbox, along with a bills spreadsheet to help you keep track of where your money is going. For my husband and I, spending money we don’t have just isn’t an option. Spending money that we DO have, on things we really don’t need, isn’t an option, either, as we are a one income family. Living off of one income has been a huge eye-opener for us both. We are starting to realize how much useless stuff people waste their money on every day without thinking twice. Stuff that we used to waste our money on, too. After we got married I dove head-first into research and all things frugal living. 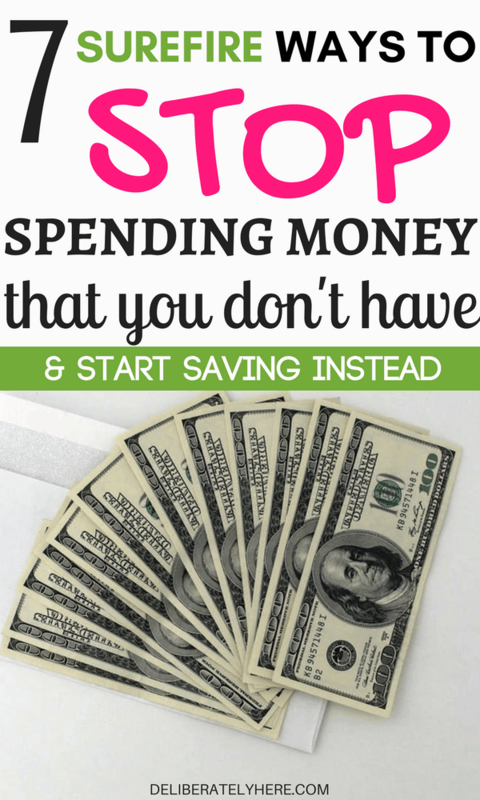 Anything to do with saving money and frugal living, I read it. 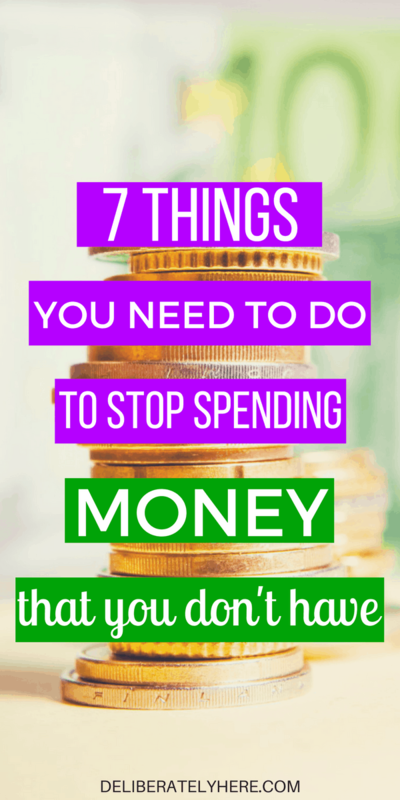 MY HUSBAND AND I KNEW THAT IF WE WERE GOING TO MAKE THIS ONE INCOME THING WORK FOR US, WE WOULD DEFINITELY HAVE TO STOP SPENDING MONEY WE DIDN’T HAVE, ON THINGS WE DIDN’T NEED. I’m sure your problem, like ours was, isn’t that you don’t have money, but rather that you don’t have a plan for your money. Do you have a spending plan? Or when your money comes into your account, do you spend it on anything and everything, without thinking twice about it? One of the first changes we made when we became a single income family was creating a spending plan. I did this through making a budget for us. On our budget, I filled out everything from our monthly income down to the smallest thing that we would spend money on. Having numbers in front of me telling me exactly how much money we could spend per month on each individual category really altered our spending habits. Before we knew it we had saved up more money than we had expected we could, in such little time. What is the one thing that made this possible for us? No more getting paid, paying bills, then buying stuff without keeping track of it. Now we were paying our bills, buying our monthly needs, and if we did want to treat ourselves, we always kept track of it. And the craziest thing happened! Our money started flourishing. If we, living on one income, can do it then I am confident that you can, too. 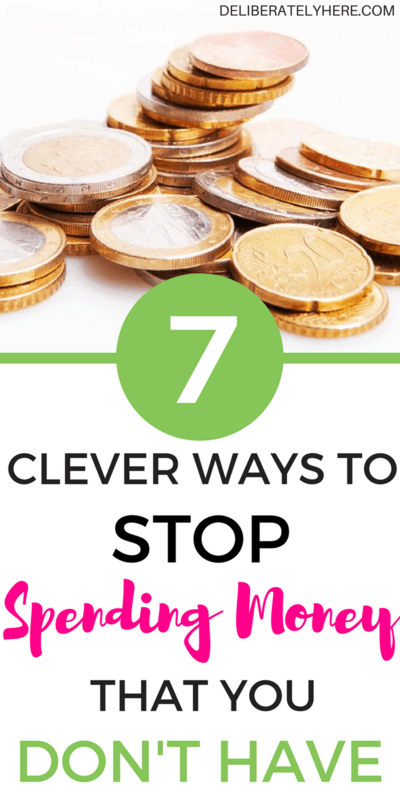 7 WAYS THAT YOU CAN STOP SPENDING MONEY YOU DON’T HAVE, ON THINGS YOU DON’T NEED. Create a master plan. Don’t let another month go by where you don’t have a set plan for your money. Take it upon yourself to create a plan for your money that works for you and your family. You can start by creating a budget (which you can get here). I find that when real numbers are put in front of my face, it’s so much easier to create a plan for our money, because it’s actually there, plain as day. 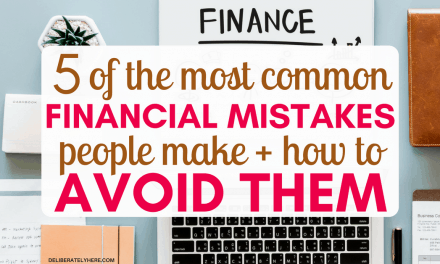 When you never know where your money is going, or how much of it is going, it can be hard to create a plan for it because you aren’t seeing the real numbers. 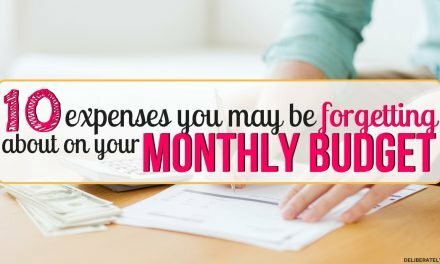 Maybe setting a monthly budget is too overboard for you. I will admit, aiming to stick to a monthly budget can be tricky. If that’s the case, create a weekly or bi-weekly budget that works best for you and your family. When I started meal planning I tried going all in. I was meal planning for a whole month at a time, and it was insane! That’s probably also why I gave up and failed so miserably the first time. My second time around I started meal planning for only a week at a time, and it was like a breath of fresh air. I was able to track my expenses so much easier, and I wasn’t trying to juggle money and meals for an entire month at a time. Lots can change in a month, too, and the plan that worked for you at the beginning of the month might not work for you by the end. Keep it short and simple, keep it flexible. Although I do know many people who set and stick to monthly budgets (and meal plans…how do they do it, I’d love to know?! ), and it just works better for them. So just because a shorter period works best for one person, doesn’t mean it will for the next. Create one that works for you and your family and remember it doesn’t have to be identical to the person’s next to you. The one thing to remember is that you always, always make sure you never go over budget. I don’t care how far or short in advance you’re planning for, make sure you’re always coming out with extra money, not in the minuses. Meal planning is what has helped my husband and I literally cut our grocery bill in half (and some months even lower than half!). I’m not saying this as click-bait, I am being completely honest here. Meal planning was it. As I mentioned above, I failed hard the first time I attempted meal planning, but after much trial and error I finally got it right, and it finally clicked. 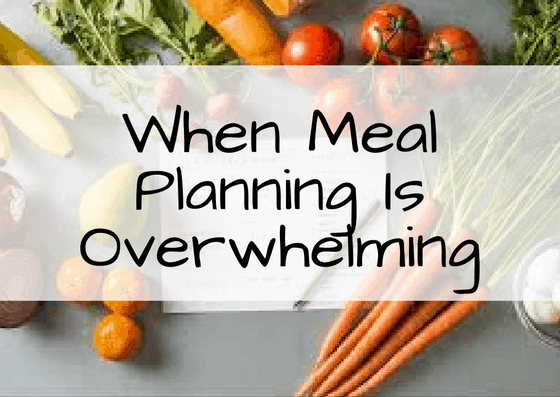 Meal planning allows you to know what is for dinner for the next week or two, allows you to know exactly what you need at the grocery store (it’s so simple to create a grocery list when you know exactly what meals you’re having), and cuts costs like crazy. I love it. I never knew I would be a meal planner, but here I am. You can view my simple 6-step guide to meal planning here. Some people make meal planning sound horrifying and like it is bundles of work, but it’s not and it doesn’t have to be. If your plate is too full to add meal planning onto, find out how you can get a complete monthly meal plan sent right to your inbox, complete with a filled out grocery list, for only $5 a month, so you can still save time and money, without the effort of meal planning. Now that you have a plan for how much of your money goes where, you can start setting goals. Go above and beyond your money plan. If your budget and money plan allows you to spend $400 on groceries per month, make it your personal goal to only spend $350 for the month. If your budget allows you to spend $200 on gas a month, set a goal to only spend $150 on gas. Park your car and walk more. Enjoy the sun and fresh air. This is not only saving you money, but also encouraging a healthier lifestyle. Or maybe you want to set a savings goal. Challenge yourself to save $500 by the month’s end, and so on, and so forth. Whether you’re going to the hardware store or the grocery store, bring a shopping list with you. Shopping with a list completely eliminates those circumstances because if there is something I want to get, thinking “we might need it,” I can simply look at my list and go, “Nope, it’s not on there!” And walk away. There’s no second-guessing and no “buying it just in case”. Those are both the real big money suckers. ANOTHER BENEFIT OF SHOPPING WITH A LIST IS YOU CAN SKIP SOME AISLES COMPLETELY. Our grocery store has a couple aisles dedicated to chips, pop, and the like. If I were shopping without a list I would go down all the aisles in the store to be sure I didn’t miss anything that we needed, and would likely grab something along the way that we didn’t need. When I have a list, I can look at it and if there’s nothing at all that I need from those aisles I can skip them altogether. SHOPPING WITH A GROCERY LIST…HELPING YOU SWERVE GROCERY STORE TEMPTATIONS ONCE AND FOR ALL. If you and a friend are going to meet up and visit, it is likely that you are going to do so at one of two places, 1) the coffee shop, or 2) the mall. It just so happens that both of those places are big, big money suckers. Even if you’re just window shopping at the mall, there’s a good chance that you will see something on for a good sale and buy it. (I get it, you saved so much money! But is it something you actually needed? No? Then no, you didn’t save money). Rather than meeting with your friend at the mall or a coffee shop, invite them over for a cup of good old homemade coffee (our favorite coffee maker is this one ). How much better is it to visit in the comfort of your home, rather than having to try and talk over crowds of people? And it doesn’t hurt that you’re not spending $5 on a coffee. While I am all for responsibly using credit cards for purchases so that you can earn points and cash back on things you buy (you can read all about why I believe credit cards are actually good here), if you find yourself spending money that you really don’t have, then I think it might be time to cut them up. It is all too easy to spend more than you have when you use credit cards. When using the cash only method it can be so much easier to control how much money goes out. THERE’S SOMETHING ABOUT PHYSICALLY HANDING OVER MONEY THAT GETS TO A PERSON. There are all kinds of cash only methods out there, and one particularly easy one for you to start out with would be cash envelopes. Simply figure out your budget (again, you can get your printable budget here), then label several different envelopes, one for each expenses category, and place the amount of cash in them that you can spend for the week, or two weeks, or month. Then when you are out of cash, that’s it, you’re out. It will be hard at first, but it will be one of the fastest and most crucial ways to get you used to staying within your budget and spending only the money that you have on hand.